‘Need is the mother of all inventions’. As Hindu mythology goes, Lord Brahma and Goddess Saraswati, together, conceived an intangible gesture of longing desires so that emotions would spring out to illustrate and share what is going on inside a human core. Electronic media is the exaggerated improved face of our elongated desires. More interaction, social circle extension and lust to intrude in foreign territory using communication networking media are the prime mottos those would have been bloomed in the mind of electronic-media inventors like Marconi, Graham Bell and John Logie Baird. They conceived revolution in media field via inventing mass-media devices such as television, radio, telephone and internet connectivity. These have created a web where the entire world is gripped into the fist of electronic media. It is a ‘Universal’ platform of sharing information via television, radio and internet. This media offers future prospects in various streams to youths and vibrant career aspirants in medical, engineering, cinematography and banking etc. via placement and recruitment advertisements. Unanimous decision can be concluded on a particular public agenda within minutes by conducting polls on radio, television and net in various cities. Teleconferencing and online chatting have made it the most interactive mode of communication. 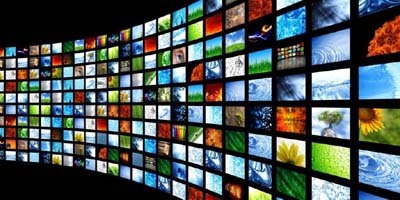 Display of advertising on electronic media has become a profitable deed of shooting sale as well as purchase of goods. Window shopping on net has uplifted the status of our society by lavishing it with view of luxurious and comfortable goods. Electronic media and advertisement are reestablishing our ancestor’s beneficial scientific concepts like Vastu-shastra for benefiting our civilization.